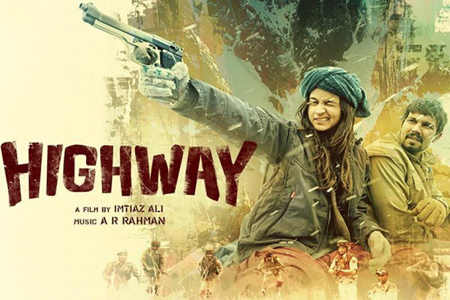 Highway is a 2014 Indian drama film written and directed by Imtiaz Ali and produced by Sajid Nadiadwala. The film stars Randeep Hooda and Alia Bhatt in the lead roles. The film soundtrack album is composed by A. R. Rahman. while lyrics were penned by Irshad Kamil, Lady Kash and Krissy.